Instore offers a variety of tax reports on our Office portal, designed to make tax filing easier. 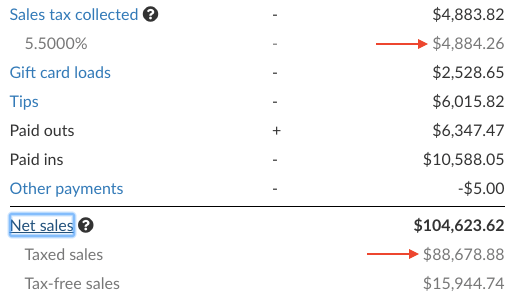 Tax Summary – navigate to Reports/Profit and Loss to see total Sales tax collected. To view taxes broken out by rate (if your location has more than one tax rate), expand the Sales tax collected line. To view sales broken out by Taxed and Tax-free sales, expand the Net sales line. Tax-free orders – navigate to Reports/Orders to view tax-free orders. After selecting the time frame for orders you want to view, select the Tax-free orders preset then click Apply. Note you can export these orders to a .csv file or click on each order number for more detail. Tax-free item sales – navigate to Reports/Item sales to view tax-free item sales. 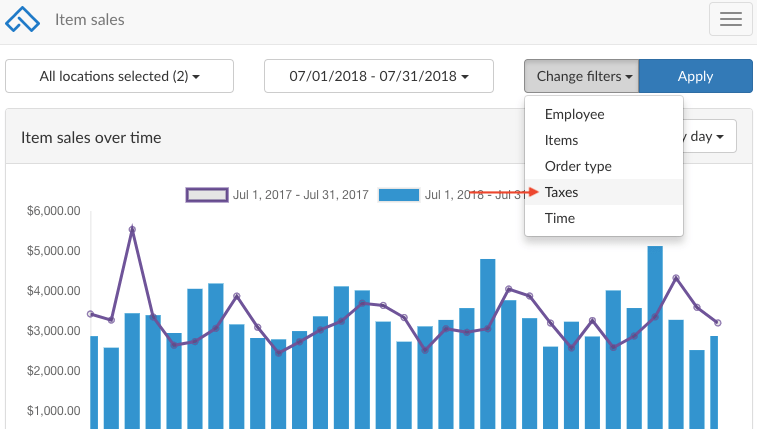 After selecting the time frame for items you want to view, add a Taxes filter, then select the Tax-free sales button, and click Apply. Note you can export these sales to a .csv file for further analysis.